This standing figure of Johann Christoph Friedrich von Schiller was dedicated in 1907. 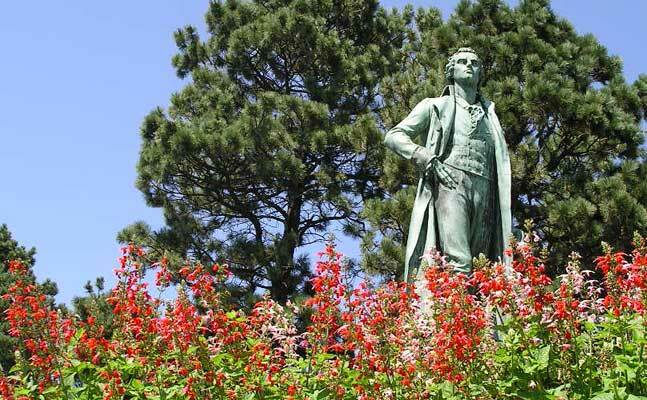 The sculpture was donated by U.S. German Societies of Saint Paul and private citizens of German descent to commemorate the renowned German philosopher, poet, and dramatist, Johann von Schiller. He was born in 1759 and is known for his enthusiastic optimism. His works gave vitality to the lives of many Germans.